-- Providing the inspiration and source material for the upcoming HBO series produced by Academy Award–winning director Martin Scorsese and Emmy Award–winning screenwriter Terence Winter, this riveting and wide-reaching history explores the sordid past of Atlantic City — forever a freewheeling town long-dedicated to the fast buck—from the city's heyday as a Prohibition-era mecca of lawlessness to its rebirth as a legitimate casino resort in the modern era. A colorful cast of powerful characters, led by “Commodore” Kuehnle and “Nucky” Johnson, populates this stranger-than-fiction account of corrupt politics and the toxic power structure that grew out of guile, finesse, and extortion. Atlantic City's shadowy past—through its rise, fall, and rebirth—is given new light in this revealing, and often appalling, study of legislative abuse and organized crime. 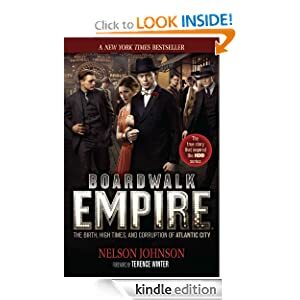 Boardwalk Empire or to sample this book for FREE! Mama's going to show you a hummingbird. Mama's going to show you the evening sky." Bedtime is a special ritual for parents and children. Lullabies often play an important role. 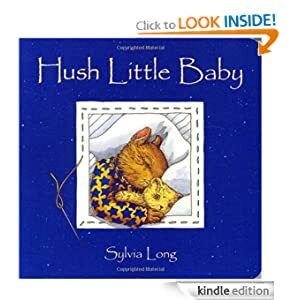 This best-selling version of the beloved lullaby Hush Little Baby is now available in a sturdy board book making it perfect for sharing with the youngest children. Hush Little Baby or to sample this book for FREE! -- Eleven years ago, Riley Stone left Hope, Texas with a head full of dreams about taking the music world by storm, and a heart shattered by unrequited love. Since then, she's developed some common sense about those dreams and a sense of humor about her long-ago infatuation with Jackson Hope, the scion of the town’s namesake family. 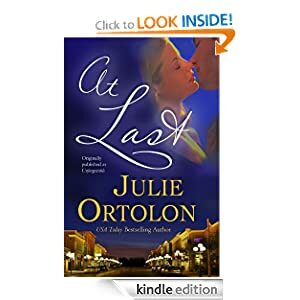 Otherwise, she wouldn’t be so happy to return to the tiny tourist town to sing blues in a nostalgia bar - that is, until she runs into Jackson and realizes that not so much has changed between them after all.With Jackson’s father wanting to tear down the town’s beloved dance hall to build a SaversMart, Riley unites the local artists and shop owners to save the historic landmark. Soon, Jackson finds himself caught between his desire to do the financially responsible thing for the town and his unwelcome desire for the bane of his existence – Riley Stone. Can they overcome all the old hurt, shocking scandals, and family secrets standing in the way to declare their love for each other, at last? At Last or to sample this book for FREE! -- Pizza is America's national fun food. And now--thanks to Barbara Grunes' innovative recipes--pizza qualifies as America's national good-health food, too. These 100-plus recipes trim away the excess fat, cholesterol, and calories that usually come with pizza, so families can enjoy all the great tastes without sacrificing good nutrition. Starting with easy-to-make (and store) recipes for basic crusts and sauces, Skinny Pizzas shows you how easy it is to top pizzas with fresh, low-fat, high-fiber vegetables, dairy products, fruits, poultry, meat, and fish--everything from zucchini and pears to smoked salmon. From hearty one-dish meals to pizza snacks, appetizers, party dishes, and even desserts--all slimmed down for today's healthful lifestyle--home cooks can feel good about serving pizza any time and for any occasion. • Tomato-based pizzas: Shrimp, mushroom, chicken, spinach, tuna, peppers, artichoke, eggplant, and more. • Non-tomato-based pizzas: Teriyaki, salmon, bok choy, goat's cheese, clam, turkey, stir-fry, zucchini, and more. • Pizza on the grill: Fajita, vegetarian, Thai-flavored, salsa, olive, ratatouille, mango, barbecue, and more. • Specialty pizzas: Creole, Szechwan, smoked turkey, scallop, focaccia, crab cake, nacho, English muffin, and more. • Dessert pizzas: Apple, mint brownie, cheesecake, strawberry yogurt, rum-raisin, and more. All recipes include diabetic exchanges and nutritional specifics on fat, cholesterol, sodium, calories, and percent of calories from fat. Recipes conform to the American Heart Association guidelines regarding the percent daily intake of calories from fat. 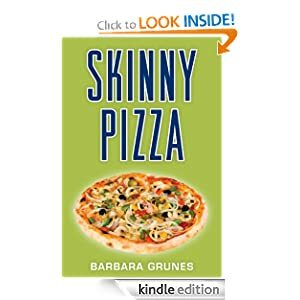 Skinny Pizza or to sample this book for FREE!